Do I need to do a Site Survey before I decide on my signage? Absolutely! Before starting on any sign project, it is essential to do a site survey. This holds true for monument signs, channel letter signage, outdoor banners etc. 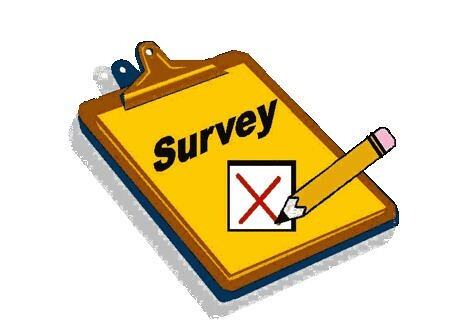 The initial survey is the single most important step of your design and marketing effort. Without the information from the survey, the most impressive signage can be rendered ineffective by existing conditions not otherwise recognized. • Approach - The distance measured along a line of travel from the point where the signage display first becomes visible to the point where copy is no longer readable (having passed perpendicular to the line of sight). Consider the approach to the business. What speed is permitted on the street(s)? What obstructions are along the approach? How clear is the line of sight? • Exposure Time - Exposure time is the amount of time an observer has to view the content of the sign. Exposure time is a function of the approach, noticeability of the sign, legibility of the sign, and rate of travel along the approach path. • Noticeability - This term is actually a combination of detection and conspicuity. • Conspicuity - The quality of an object (sign) or a light source to appear prominent or to stand out in its surroundings. The depth associated with the individual channel letters contributes greatly to this quality. • Detection - The quality or state of being perceivable by the eye. In many outdoor applications, visibility is defined in terms of the distance at which an object can be just perceived (i.e. detected) by the eye. Since channel letters can be spaced without an associated cost in square footage allocation, a spread pattern can often be used to increase the distance at which the letters can be discerned and read. Get your message across with big, bold banners and flags. At The Sign Studio, our banners and flags provide a powerful way to draw attention to your product, event, business or organization. Whether displayed indoors or outdoors, hanging or in stands, there is no better way to make an impact. 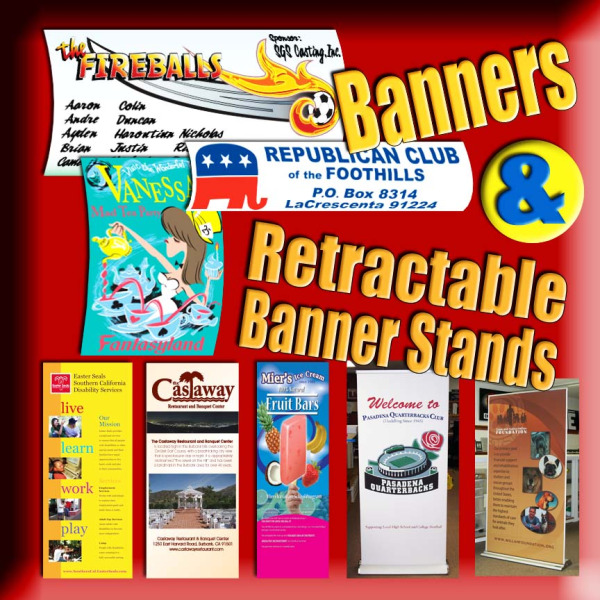 Durable, flexible and portable, banners and flags keep working for you—again and again. Attract new customers and grow sales with one of the most cost-effective advertising methods available. Banners are seen, read and acted upon over and over again each day. Whether you want to create product awareness, introduce special pricing, promote an event or draw visitors to your tradeshow booth, colorful indoor banners are a sure way to make an impact and generate excitement. Draw attention and awareness to your business or organization—or promote an event, product or service—with high-impact outdoor banners from THE SIGN STUDIO. Highly visible everywhere you go, banners are a versatile, durable and affordable way to get noticed, even from a distance. Make a statement with colorful flags from THE SIGN STUDIO. 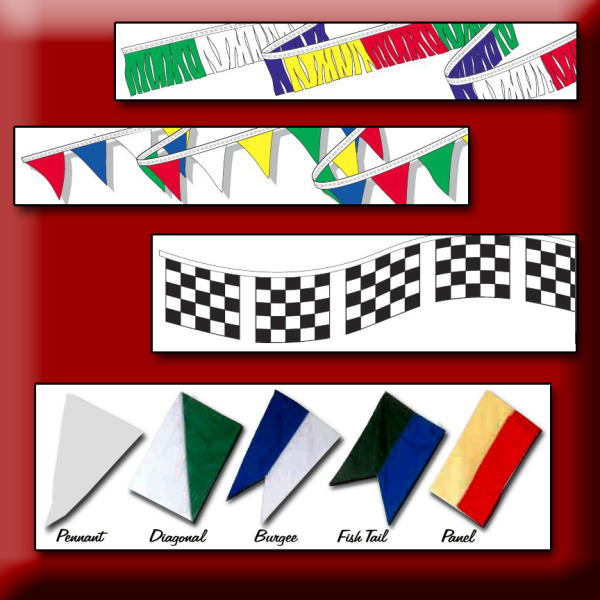 Whether you want a polyester pennant string, a company logo or a grand patriotic flag, we offer a wide variety of flags to meet your needs. Choose from a range of sizes, materials, colors and designs, all made to be durable for use indoors or out. Signs are communication mediums that respond to our mobile lifestyles. Signature buildings such as the widely recognized McDonalds restaurant building designs are signs. A facelift to a building such as the old western village false storefronts is also considered a sign. Thoughtful use of the visibility features of your business site expands your ability to communicate with passersby. Regardless of the type used, your signs must be appealing to potential customers and the message must be easily understood. Keep in mind that there are dozens of possible sign options and configurations, each as unique as a business' needs. • Building mounted on-premise signs may be attached to the roof, parapet, marquee, or building fascia. These signs may be either parallel or perpendicular to the building surface. • Freestanding on-premise signs are generally supported by a structure attached to or cast in a foundation. . The structure and attachments to the foundation may be concealed with a decorative covering. Freestanding signs can be further enhanced by landscaping. • On-premise signs can be either internally or externally illuminated. For retail businesses, on-premise signs should be illuminated too accomplish communication with potential customers during nighttime hours. • Sometimes a building itself functions as a sign. This occurs most often with franchise and chain retail operations, where standardized (or "signature") buildings and colors, as well as traditional on-premise signs, announce the presence of the business. • Buildings also may be fitted or retrofitted with "trade dress" to design a theme. Retrofitting of a building-facade is often described as a "face lift." Both building and freestanding signs should be designed to echo the theme or trade dress. • Changeable copy boards or electronic message centers enhance a sign's effectiveness by providing space to advertise time dependent messages. Such sign or sign additions can be electronically controlled (the electronic message center), or changed manually (the changeable copy sign). 2. to provide guidance in a safe and efficient manner, as required by local regulatory authorities and federal law. Primarily, there are building mounted, freestanding and interior signs, within which are many types of signs. Carefully reviewing the many types of signs, and considering how well they will meet your location and business' needs, will enable you to select the kind of signs you need for your greatest business success. Building mounted signs are essentially "signs that are applied or attached to a building." Within this expansive definition, however, fall many separate types of building mounted signs. Here are some different signs you might use. A sign that is attached to the exterior wall or fascia of a building. The building fascia is that portion of any elevation of a building extending vertically from the grade to the top parapet wall or eaves, and horizontally across the entire width of the building elevation, including slanted wall surfaces sometimes referred to as a mansard. A building mounted sign that provides additional functionality as shelter. Awnings are most often found over walkways, doorways or window areas. A building mounted sign with the faces of the sign perpendicular to the building fascia. A horizontal area above a multi-tenants' building's entrances, architecturally designed to accommodate complementary signs for each tenant. A building mounted sign erected on the roof of a building. A sign mounted on top of the parapet of a building. A sign that is displayed in a window, whether it is attached to the window, or it is applied to the window. A sign that is displayed on a marquee or Canopy. A freestanding sign with visible support structure or with the support structure enclosed with a pole or pylon cover. A sign used to display the names of tenants of a business complex. A freestanding sign with visible support structure. A tall freestanding pole sign. A variable message sign that utilizes computer-generated messages or some other electronic means of changing copy. These signs include displays using incandescent lamps, LEDs, LCDs or a flipper matrix. A sign that identifies the names and locations of tenants in a multi-tenant building or in a development made up of a group of buildings. A sign having the primary purpose of conveying information concerning rules, ordinances or laws. A wide variety of typical on-premise sign types located within the interior of a multi-tenant building or mall. Signs that advertise a product at its point-of-purchase. If you have any questions or need further information, please send us an e-mail at info@signstudiola.com or give us a call at (818) 843-9200. The Sign Studio is here to help YOU! Vinyl and Graphic Sign Banners - How great they are! Banners can do many things for you! Vinyl Banners are meant to be noticed. Whether you are looking to target market potential clients, advertise an event, or send a message to the world, a banner will more than accommodate your plans. The Sign Studio and it's team of design specialists, trained in the design and marketing field, use the most innovative technology available today. The Sign Studio is equipped to provide you with the most spectacular banners, your message is sure to be an attention getter. With a weather resistant vinyl format, these state-of-the-art banners easily mount to any location. Easy to display, rain or shine, a vinyl banner by The Sign Studio offers reliability without the stress of wondering if anyone will see your words. A stress-free, bold, brilliant color banner is beyond a doubt the answer to conventional advertising. Aside from the fact a vinyl or graphic banner by The Sign Studio can feature full color photographs, customized to suit every need, it is an economically smart choice. 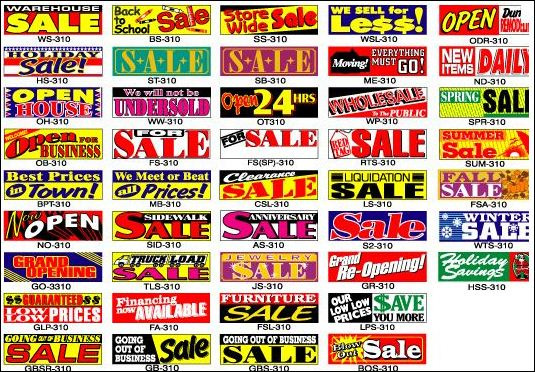 Comparing the astronomical cost of print advertising to get the attention of potential clients, a vinyl banner is a far wiser choice. Even black and white newspaper and magazine ads cannot cost compare to a full color banner. Ordering a custom banner is simple, either e-mail us a request at info@signstudiola.com or give us a call at (818) 843-9200. In addition to the professional service and easy steps it takes to order a banner, there are no hidden fees. The Sign Studio will send you a quote within a few minutes and we understand your need to advertise on a budget. Ordering a cost effective banner is not an opportunity you can only take advantage of certain times of the year. Vinyl banners by The Sign Studio are available at an economical price all year long. 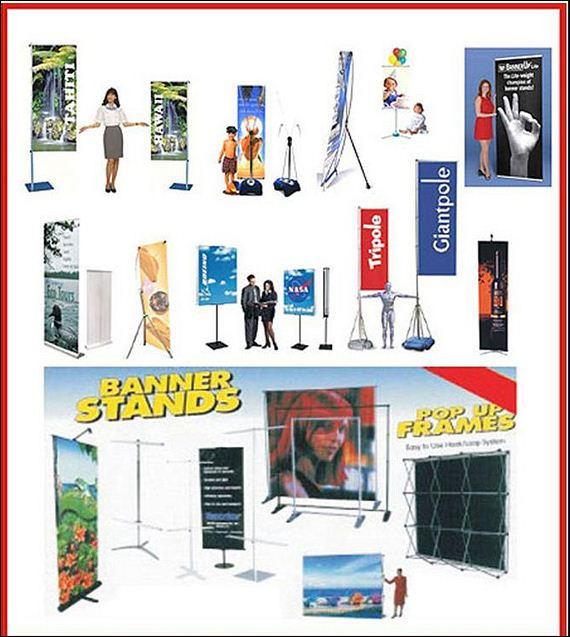 Moreover, the quality of our banners demonstrates just how understanding the company is, knowing banners are not always used for advertising purposes. A family reunion, your child's baseball game, a neighborhood picnic, welcoming guests on a colorful banner is a keepsake to be remembered. A banner makes for a special gift when celebrating a birthday, birth of a child, even an anniversary. The Sign Studio always delivers high quality vinyl banners without substituting style and personal taste. Delivering nationwide, ordering a vinyl banner for your personal event or business function relieves the stress of finding a quick turn-around company. Available at your fingertips, The Sign Studio realizes your need to have all of the particulars worked out in a timely manner. A 24-48 hour turn around time from the moment you sign off on your layout is simply another outstanding service you will receive from The Sign Studio. In addition to understanding the importance of a timely turn around, The Sign Studio acknowledges a businesses need to invest in a tool for long term. These superb vinyl banners can be used multiple times and always remain outstanding in color, giving you the results you need each and every time. If you have any questions or need further information or simply want to order a banner, please send us an e-mail at info@signstudiola.com or give us a call at (818) 843-9200. Wayfinding provides a methodology for people to find their way (hence "wayfinding") to and around a destination. By gaining an understanding of a place, who its users are, and what they need to find, wayfinding planners develop a signage master plan that guides people through a facility. 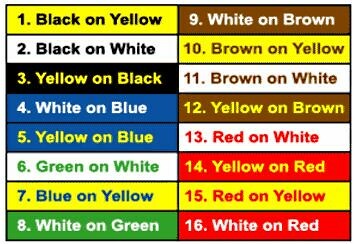 This process includes defining functions of various signs, and the specific message and location of each sign. These are typically compiled into sign message schedules and locator maps. Regardless of the type of facility for which the wayfinding planning is being done, certain basic principles such as legibility, prioritization of messages and amount of information that can be comprehended apply. The Sign Studio's experience in a broad variety of project types can be a valuable resource in these regards. If you have any questions or need help with your Wayfinding or Directional Sign Systems, please give us a call at The Sign Studio (818) 843-9200 or send us an e-mail at info@signstudiola.com. Custom vinyl banners are the most happening low cost advertisement today. They tend to make the most valuable promotional tool. They are really useful for a variety of purposes, such as sales, auctions, promotions and games. Custom Vinyl banners are extremely effective, as they are considered 24/7. The best feature is that they are not as expensive as other forms of advertising. The positioning of the banner is very crucial also. The place where you decide to display your custom vinyl bannersign should give the best bang on the direct response of the viewer (which is a potential client).Vinyl sign banners are ideal for any occasion. If you need them to promote a product or lead people in your direction or make any announcement, custom vinyl banners will work for you. There are many types of vinyl sign banners, including indoor and outdoor vinyl banners. 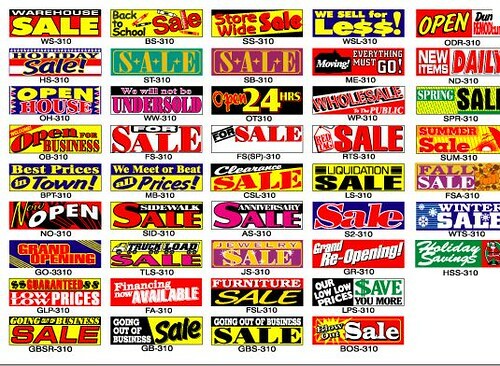 The point is that all types of vinyl sign banners expose one main characteristic: they target potential customers. A banner has the concentration and growth potential for acquiring a wish or desire to get the advertised products and / or services out there to hundreds of people. Consequently, one of the main functions of custom vinyl banners is to be a magnet for people. In order for a sign, to be effective, you must consider all aspects of the business or product that the message will be sending. Consider all the details when you choose your banner - the size, tone, approach, lighting and location along with your message. These banners are easy to install, durable, low cost, as well as effective and always manage to produce the intended visual effect you are looking for. If you have any questions or need further information or simply want to order a custom vinyl banner, please send us an e-mail at info@signstudiola.com or give us a call at (818) 843-9200. Every business organization wants to look their best at all times. A great way to do that is with a high quality sign that projects the right image for your business. Many are surprised to find that getting a custom made sign seems easy at first, because there are many sign shops/manufacturers to choose from, only to find that the information required to obtain a quote is confusing. Some of this is due to lack of experience on the part of entrepreneurs as they may have never had a sign made, but the problem can be compacted by sign makers if they are not experts in the sign industry. Know your options and what will work best for your everyday use. First you must determine where your sign will be located and the drawing that you want to use to narrow the field of materials and custom options for your sign. The biggest factor is whether the sign will be protected from the elements inside/outside or where it will be exposed to the weather factors. This should be considered for the sign material. The agenda will be the budget for the sign, since the cost will be directly connected to the material used, the number of colors and a custom design is needed. Indoor signs are usually much cheaper than their outdoor counterparts because they are in a protected environment. You no longer need to worry about strong winds, rain, snow, animals or vandals. Considerations should be made so that the sign blends with the building design and still captures the attention. Material options include custom interior signs, plastic, aluminum and PVC with variations that are a combination of the above substances, such as Dibond or Aluma-plastic signs. 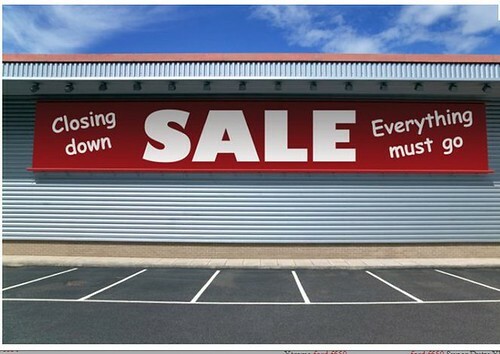 Outdoor signs face many threats, including weather, animals, vandals and other external factors. The first step to an external sign is to verify the legal restrictions from your city, province and the owner or operator of the property. You may need special permission to hang a new sign or have a certain size, color or material requirement/limitation. Knowing this, before you begin your sign design will be very helpful. If you have any questions or need further information or simply want us to take charge of your project, please send us an e-mail at info@signstudiola.com or give us a call at (818) 843-9200. Outdoor Banners: The Bigger the Better! In advertising.....size is important! If you have small outdoor banners you may get a few people to notice, but they won't take them very seriously. To make a serious impact on your market, you need to go bigger! Big outdoor banners will attract people with their color and size! Whether you want to advertise a promotion, event or anything else, large scale vinyl banner printing is the way to go. Why? Because people like to be distracted! And size distracts! The bigger you go, the more necks you will crane and there's virtually no size limit. Which also means there is no limit on the size of your audience. So if you really want to turn heads, think about the biggest outdoor banners you've seen and imagine your image and tag on them. Then get creative with what you want on your customized vinyl banners. Think of a clever phrase and lots of colors. That way your outdoor banners will be interesting and hard to forget. If you have any questions or need further information or simply want us to design and print your large custom vinyl banner, please send us an e-mail at info@signstudiola.com or give us a call at (818) 843-9200. The Sign Studio is here to help YOU! The world of outdoor advertising is as vast as the outdoors, at least in places where masses of people live. As the human population expands, so does this common method of communication. Businesses choose from many designs and technologies when they consider how to get a message out in the open. Knowing about some of the key terms and technologies associated with outdoor signs and outdoor advertising will help businesses to choose what works for them, and to make informed decisions, knowing about what is currently out there for creating good advertising outreach beyond the company's walls. The sandwich board is a way to keep a two-sided advertisement anchored on the ground without a lot of extra hardware. These movable outdoor signs are popular with many different kinds of businesses. Neon was a miracle of chemistry when it first began to appear on the streets of France. This kind of sign, lit by an electrical charge interacting with gases, is now a mainstay of the outdoor advertising world. LED, or light emitting diode, is a kind of lighting that uses electricity to produce light. This is another big option for today's outdoor lighting, with several benefits over the old incandescent systems. A backlit sign includes some kind of lighting that illuminates the area of the sign so that it can be seen at night. Backlit designs are an alternative to spelling out a sign with neon or including LED systems. For businesses that are in it for the long haul, an 'architectural sign' made out of stone, brick or other materials may be the way to go. An architectural sign is one that is built permanently into a site. These are popular with schools, hospitals and other sites where the business is not going to change on a continual basis. These individual lettered signs are another good alternative for businesses that need to reach customers through outdoor advertising. DO YOU NEED TRAFFIC, CONSTRUCTION OR PARKING SIGNS? The Sign Studio manufactures the highest quality parking signs in .060" thick steel, aluminum and reflective material. Each has mounting holes in top and bottom centers. The Sign Studio manufactures "Stop" signs of all kinds: Reflective red stop signs, non-reflective stop signs, customized signs, you name it. We have many sizes of stop signs, both steel and aluminum for all of your traffic control needs. The Sign Studio manufactures "Regulatory" signs of all kinds: Holes are predrilled for easy installation. Drive posts and mounting hardware is also available. The Sign Studio manufactures custom designed parking signs of all kinds. We will custom make any design of parking signage you need. .040" Steel and Aluminum with baked enamel finish white background with high performance vinyl lettering. The Sign Studio manufactures any speed limit sign you need. Sizes available are 18" wide and 24" tall and are made of heavy gauge steel or aluminum. 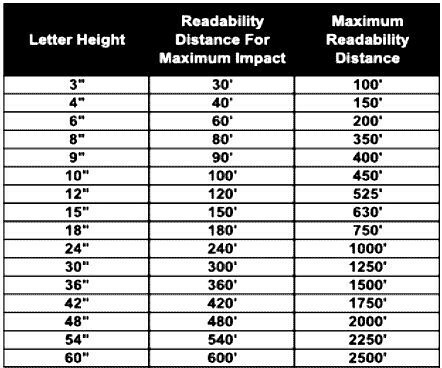 These signs are used for highway, city and residential speed limit communications. Reflective background white is also available. The Sign Studio manufactures any community sign you could ever need. Just let us know what you are looking for. Holes are predrilled for easy installation. Drive posts and mounting hardware is also available. Our standard Street Name Signs are made from 6" tall by 36" wide heavy duty aluminum sign blades. These signs are coated with engineering grade sheeting for long-lasting high visibility color performance and durability. Name of street is 4" tall, white lettering. Lettering on both sides. If you have any questions, please give us a call at The Sign Studio (818) 843-9200 or send us an e-mail at info@signstudiola.com. COROPLAST SIGNS ARE THE CHOICE OF TODAY! Coroplast is the material of choice for today's digital printing professional. It provides for a high quality sign that is waterproof and stain resistant. These signs are made and printed with long lasting durability in mind, and will stand up to the elements no matter where you live!Unlike competitors who want to charge you by the color, we offer all of our yard signs in full color for one low price. This way, you get signs that will stand out from the surroundings, including signs of others! 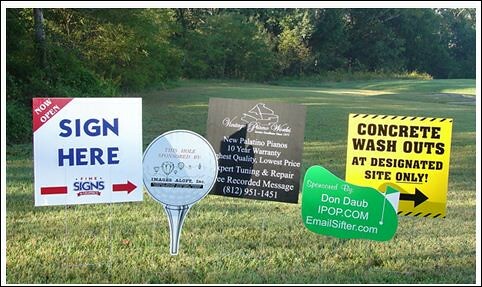 A bright, eye catching yard sign will be highly noticeable and create a lasting impression on people that see it. • We offer our yard signs in 1 size, 24 x 18 inches. We can do much more with these signs in larger quantities, including sizes or shapes. We offer our yard signs in single or double sided, with your choice of the same image on both sides or a different image on each side of your sign. • Coroplast is also eco-friendly. The durability of the material is made so that you get great quality at a lower weight, and you can re-use the signs over and over again. In addition, coroplast also uses polypropylene copolymers, so it can be recycled along with your old milk and laundry detergent bottles when you are done with it! If you need a larger sign, custom material, or contour cut, call us at (818) 843-9200 or send us an e-mail at info@signstudiola.com. To be a supplier of eye-catching and "brand-proper" Safety and Compliance products, you must have a keen eye for design that goes beyond knowledge of laws and regulations. The Sign Studio has been delivering ADA & OSHA sign solutions for over 20 years. As signage consultants, we are constantly reviewing ADA & OSHA laws and regulations so our clients don't have to. We even create safety and compliance signage that acts as an attractive extension of your brand. We can include logos and color schemes to transform ordinary ADA & OSHA signs into extraordinary displays. No matter your signage need, our expert designers can manufacture your interior safety and compliance sign package. From emergency exit, Braille signs and evacuation maps to bathroom signs, hazardous material labels and warning signs, we will have you up to code in no time. Are you a new business who is opening a large retail location? Or a contractor who has a large facility being built? We offer a wide range of business services from project management and installation to ensure every area of your building is compliant.